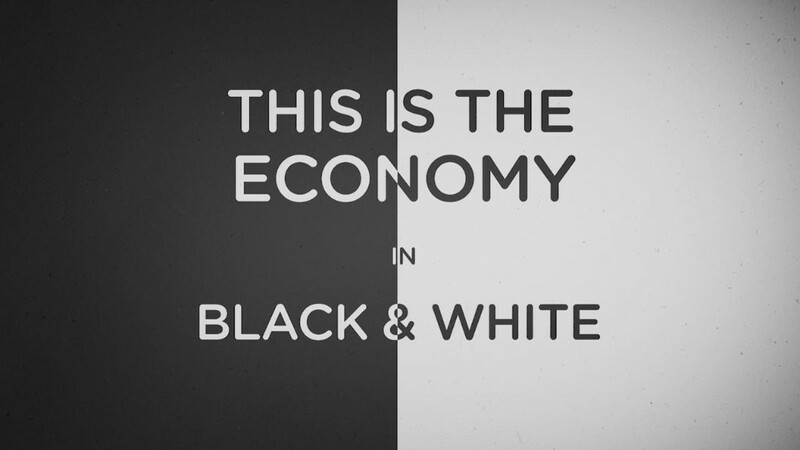 Blacks in the United States continue to lag far behind whites in key areas of economic well-being like wealth, income and homeownership, a new report from the Pew Research Center finds. While these trends have been consistent for decades, what's particularly notable is that these disparities between blacks and whites persist regardless of the level of education they attain, said Juliana Horowitz, an associate director of research at Pew. "Even when we only look at people with bachelor's degrees, we still see these gaps," Horowitz said. Take income. 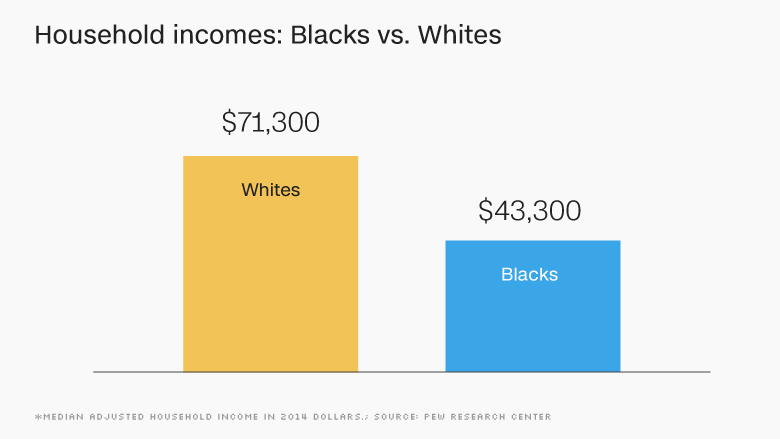 In 2014, the median household income for whites was $71,300 compared to $43,300 for blacks. But for college-educated whites, the median household income was $106,600, significantly higher than the $82,300 for households headed by college-educated blacks, the report found. These differences are magnified when looking at overall wealth, which takes into account the value of assets like homes, retirement savings and income minus any debt owed against those assets. The report found that in 2013, white households in the U.S. had a median wealth of $144,200 -- almost 13 times the median wealth of black households at $11,200. But here again is an example where the gap is not significantly narrowed by education. White households headed by someone with a college degree have a median wealth of $301,300 compared to college-educated black households, which have a median wealth of $26,300. One of the biggest ways to amass wealth, especially for people of color, is to own a home. Yet the homeownership rates for blacks is just 43% compared to 72% for whites. 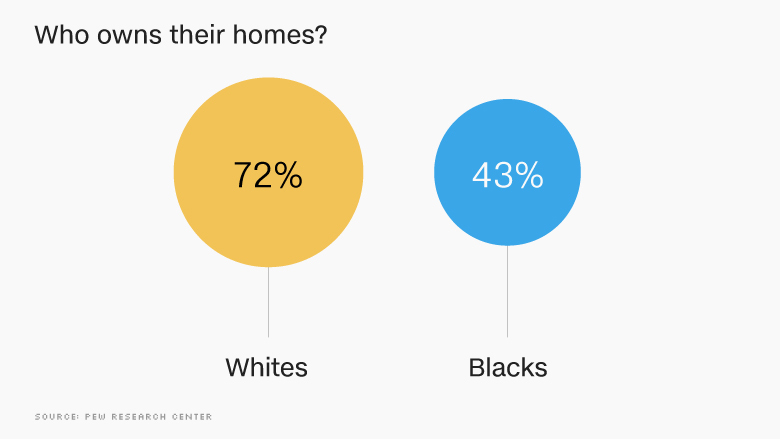 Homes owned by blacks also tend to appreciate less in value than those owned by whites, particularly if they are in black communities that experienced high rates of foreclosure. Historically, neighborhood segregation and "redlining" -- the practice of not investing in or providing financial or other services for communities with high percentages of black residents -- have exacerbated this trend. Blacks were also targeted with subprime loans during the housing boom and, as a result, lost a tremendous amount of wealth after the market crashed. Even though the poverty gap between blacks and whites has narrowed, Pew found that Blacks were still at least twice as likely as whites to live in poverty or be unemployed. And while 23% of blacks said they sought food from a food bank or pantry in the past 12 months, just 8% of whites said they did so. More than two-thirds of blacks surveyed (70%) said racial discrimination was a major reason why some blacks have a hard time getting ahead in the U.S. More specifically, 60% said they felt like they were treated unfairly compared to whites when applying for a loan or a mortgage and 53% said they were treated unfairly at work. Perhaps the most telling statistic was that 43% of blacks said they felt that the country would not make the necessary changes needed to give blacks racial equity in all areas of American life. That's compared to 11% of whites who felt that way.